Police Officer Eddie Joe Johnson, Jr.
Reflections for Police Officer Eddie Joe Johnson, Jr.
Our thoughts and prayers go out to the Alton Police & Fire Department as well as the family of Chief Johnson. God speed, my friend. Thank you for your service. 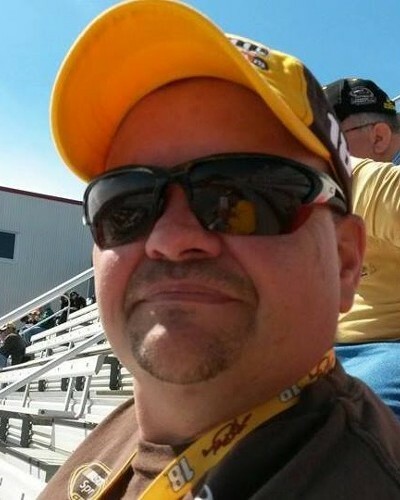 Rest in Peace Brother!!! My thoughts and prayers go out to your family. Your service will never be forgotten. Rest in Peace Officer Johnson. Thank you for your service My thoughts and Prayers go to your family, co-workers, and friends. IN MEMORY OF POLICE OFFICER EDDIE JOHNSON, JR.
From the beginning of time after Cain killed his brother, Abel, there has been a need for law enforcement officers to protect the weak and to bring evildoers to justice. This work is necessary in a sinful world and is dangerous. In modern times, some six hundred and fifty-two law enforcement officers have sacrificed their lives to protect the citizens of the State of Missouri. 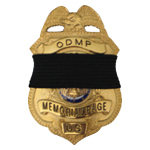 Today, we honor the sacrifice of Police Officer Eddie Johnson, Jr., of the Alton, Missouri, Police Department; who was killed in the line-of-duty on Monday, October 20, 2014, in a single vehicle traffic collision on U.S. 160 while responding to a structure fire at a home in Royal Oak, Missouri, just west of Alton, Missouri. “Lord God, we are grateful for the life of Police Officer Eddie Johnson, Jr. He died serving us. Help us never to forget. Help us celebrate the life of Police Officer Eddie Johnson, Jr. and honor his sacrifice. Be with the family, friends, and colleagues of this fallen hero. Comfort them and give them your strength. Guide those who seek to take care of the family of this hero. May those empowered to do so, care for them with integrity. In commemorating the death of this hero, help those who mourn to remember that death is not the end. Death does not have the final say, but is simply the transition to the glorious life to come. They should look forward to that life to come with joy and thanksgiving. As for the citizens of Alton, Missouri, help them to faithfully equip their law enforcement officers with the best tools to protect their community. May their training be adequate to the task. Help the citizens of Alton, Missouri, to remember to pay their law enforcement officers fairly and treat them with respect. Help the citizens of Alton, Missouri, to obey the law and treat each other with dignity so as not to add to the burden of crime and pain to their community. The time for mourning will soon pass. We have now remembered and celebrated the life lost in this great tragedy. As the family, friends, and colleagues of Police Officer Eddie Johnson, Jr. go forward, they must celebrate the good things in their lives; and to celebrate life itself! Now, Police Officer Eddie Johnson, Jr., may the Lord bless you, and keep you: the Lord make His face to shine upon you, and be gracious unto you: the Lord lift up His countenance upon you, and give you peace. May God grant you eternal peace. Rest with the Angels now Officer Johnson. May the family's fond memories help them through this difficult time. RIP, prayers for the family. RIP Brother and may God up hold the ones that our dear brother left behind. Rest in peace Officer Johnson! your career choices Mr. Eddie . My Family sends it condolences to Family, Friends, Department, Community, & Country. Gone From Our Arms ... Forever in Our Hearts !!! Ms. Karen Morgan ,Psy & LE , Grad. RIP Officer Johnson. Thank you for your service to LE. May God be with your Family & all LE.